See a larger version of the planned improvements. 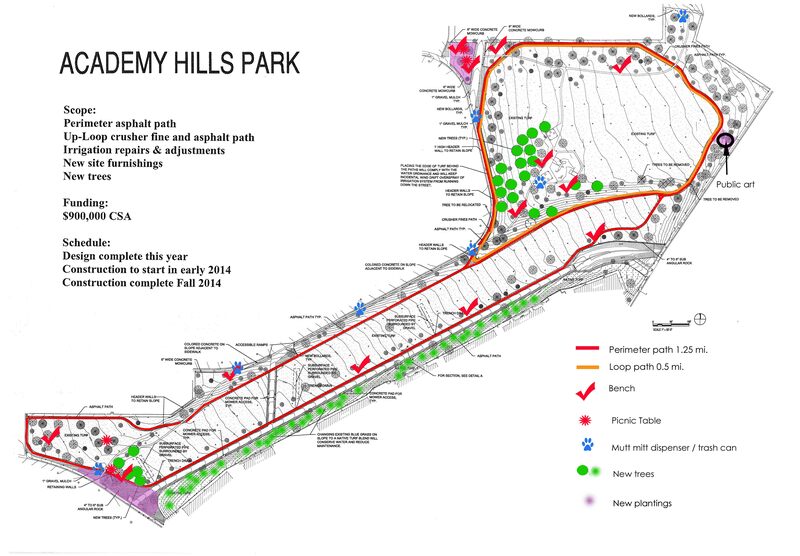 Improvements to Academy Hills Park will start this year. Since this project is so large, construction will take some time to complete. Work start as soon as possible. a shorter, natural surface path at the upper end of the park. 11 new benches: five of these benches are ‘Tribute Benches’ that have been sponsored by the public and the neighborhood, and they will have commemorative plaques affixed. 6 new ‘mutt mitt’ dispensers. New plantings will be part of the improvements as well, with 69 new trees, and 213 shrubs. 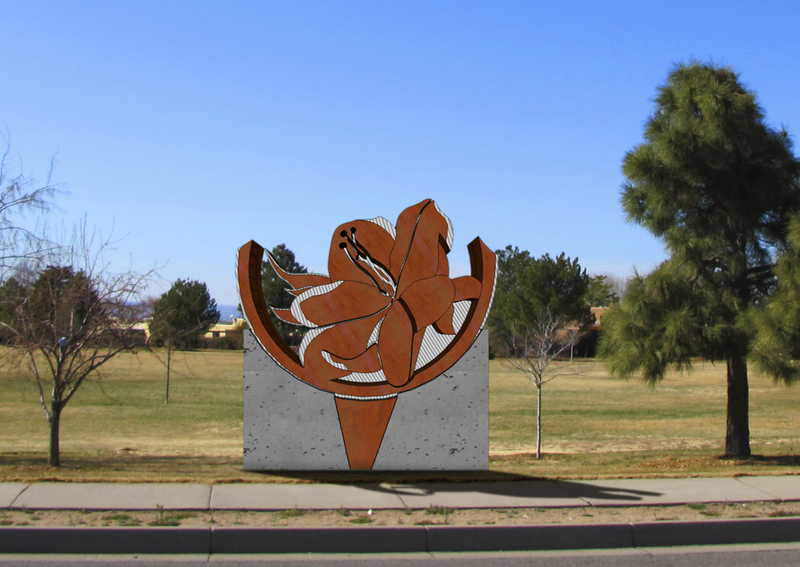 Five existing mature trees will be relocated within the park to accommodate the new paths, and all the trees, new and existing, will get new six-foot diameter mulch rings for health and moisture retention. This will also serve to prevent mower damage. The old wood bollards will be replaced with new steel ones. The new soccer goals will allow the play field to be rotated 90 degrees from time to time to help the turf regenerate. Most importantly, these improvements will prevent water waste and allow for proper irrigation. The old system made tracking water use accurately very difficult and the water runoff that plagued the old system should cease. The slope across the concrete drainage will be heavily planted with drought resistant trees. The turf will be seeded with native grasses which require much less water than traditional park turf grass.